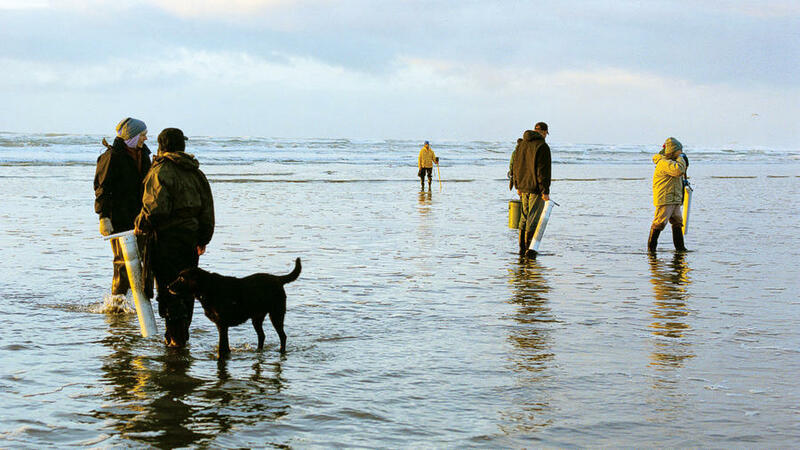 A bucket, clam shovel, and proper waders are clamming necessities on the brisk Newport beach. Go razor-clamming and explore all this summer surf town has to offer in the off-season. Why go in fall: It’s peak season for Dungeness crab, and a great time to try razor-clamming. Main drag: Westhaven Drive, which overlooks Grays Harbor, Washington’s largest fishing port. Dress code: Skip the clamdiggers (brrr! ); instead, pack your hat, gloves, and parka. Waders for clamming are a must. Best way to get your heart rate up: Scale the Westport Viewing Tower for a crow’s-nest perspective of the harbor. Where to hang 10: Rent a board (and wetsuit―you’ll need it) for cold-weather surfing at Steepwater Surf Shop (rental gear $39; 360/268-5527), then hit the jetty at Half Moon Bay (at Westhaven State Park; 800/345-6223). For home cooks: Buy fresh crab right off the piers for tonight’s dinner. Cozy overnight option: The remodeled Glenacres Inn (from $50; glenacresinn.com) has eight B&B-style rooms and two cottages. Grays Harbor Lighthouse is one of the tallest in the state. Granny Hazel’s Candy and Gift Shop, named for the woman who started selling fudge here almost 50 years ago, makes taffy the old-fashioned way (by pulling it). Fish for 51 flavors in the shop’s candy boat―we recommend the hot buttered rum. 2329 Westhaven; 360/268-0033. 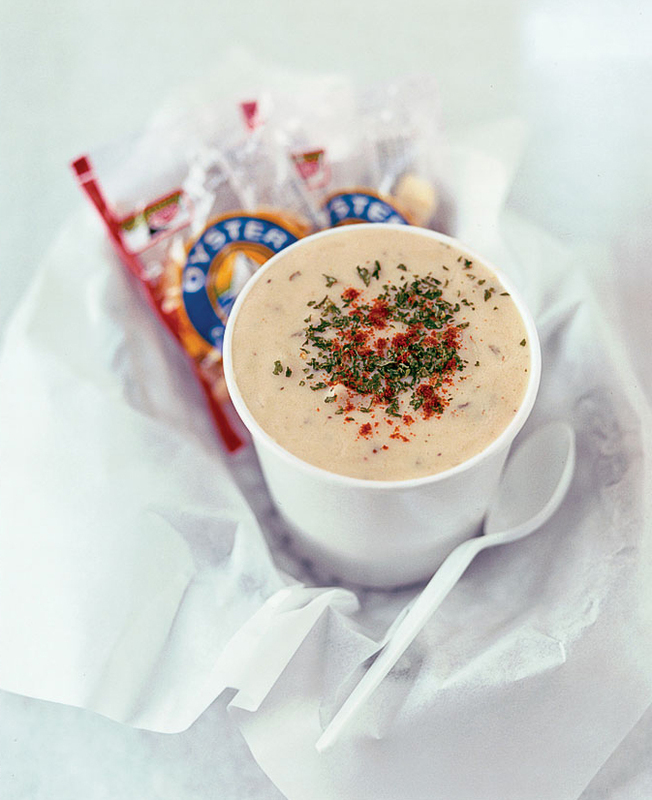 A cup of clam chowder from Mermaid Deli & Pub. With its laid-back vibe, Mermaid Deli & Pub reminds us that Westport is a summer surf town (even if it doesn’t feel like it in December). After a chilly morning of digging clams, nothing beats the Mermaid’s hot Reuben and a cup of their creamy clam chowder. Sit in the back room to see the giant undersea mural―kids will dig the mermaid and the killer whale. $$; 200 E. Patterson St.; 360/612-0435.